The development of Victoria's Fishermans Bend now has a clear direction for future planning work and delivery with the release of its 2050 vision document. 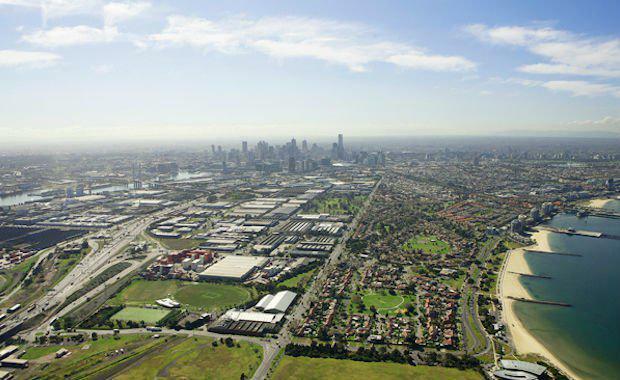 The 491-hectare area near Melbourne’s CBD has been identified as an opportunity to create a new, vibrant community containing a genuine mix of residential, commercial, retail entertainment, industry, transport and community facilities. The vision document outlines a number of strategies and objectives, like integrating transport including cycle paths, tram lines and an underground rail line to reach a target of 80 per cent of transport movements made via public transport, walking or cycling. Fishermans Bend will incorporate open space within 200 metres walking distance for all residents and workers, major schooling facilities and activity centres in each precinct for retail, jobs and community services. A number of catalyst projects like the Ferrars Street Education and Community Precinct are lined up for the area and the government wishes to include diverse and affordable housing options. Fishermans Bend will eventually accommodate 80,000 residents and 60,000 jobs by 2050 and this vision document will underpin detailed planning work for four separate neighbourhoods and a new employment precinct. Following their recent purchase of the 37.7 hectare Holden site, the Andrews Labor Government says design and engineering will be at the heart of the employment precinct. “Fishermans Bend is a golden opportunity for Melbourne and Victoria where we can create an inclusive, creative, sustainable neighbourhood that our city needs to remain marvellous – and inspire and inform future developments across the state," Minister for Planning Richard Wynne said. ongoing comprehensive consultation program and includes written submissions together with the vision and a public engagement report.